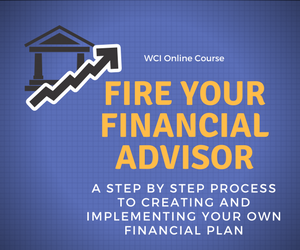 This post was written by fellow NAPFA-Registered fee-only financial advisor Megan Rindskopf. With Christmas less than a week away and the streets abuzz with holiday spirit, it is easy to get consumed by the busyness of the holidays. We encourage you this season, amidst the shopping shuffle and the corporate holiday parties, to pause. Take time this year to reflect on the people and the relationships that are most important to you. Every family is different and there is no one-size-fits-all solution to a family’s situation – whether family members are estranged or everyone is “thick as thieves,” take the opportunity this year to have meaningful conversations with your loved ones. Reflect on memories – appreciate the tough moments that have made your relationships stronger and be grateful for the memories that make you laugh. Most importantly though, share your thoughts and feelings with the ones you love, because we never know how short life might be. If something happens to me, will my loved ones be taken care of? While this thought may seem a bit morbid around the holidays, in reality, what better time than when we are surrounded by family and friends to remind us to have the appropriate insurance coverage in place to protect the ones we care about most. If you or your spouse become disabled, do you have the right coverage(s) in place to make sure you can still support your family? Retirement, college and other savings goals become much more difficult to accomplish when your income stream is greatly reduced or eliminated entirely. Proper disability insurance can help supplement the loss of income associated with a long term disability. My colleague Cheryl Sherrard was recently quoted in Financial Planning Magazine regarding group disability insurance. Click here to read the article (free registration may be required). If you or your spouse become ill and needs skilled nursing care, do you have Long Term Care insurance or adequate additional resources in place to cover in-home care or a skilled nursing facility? Equally as important – have you had those conversations with your family members so they know what type of care you desire in the event a long term care need arises? It is important to have these discussions before an issue arises. If you or your spouse passes away unexpectedly, do you have the right life insurance in place to support your family? Depending on your family and financial situation, you may or may not need life insurance coverage. It is important to understand both the amount and type of life insurance you need, in order to assess whether any adjustment is necessary. Work with a financial professional who knows you and thoroughly understands your needs and your goals when assessing your family’s needs. Do I have current estate planning documents and have I communicated my wishes to my family? It is imperative to have the essential legal documents in place to protect against the unexpected. In order to avoid family turmoil once you are no longer living, it is also helpful if you have discussed your wishes with the friends and family members involved. While these conversations can be difficult to initiate, they can bring clarity to a situation and help reduce family conflict once you are gone. If the conversations are too difficult to have, a hand-written letter or video can accompany the Last Will and Testament explaining your decisions. If you are unsure if your documents are still adequate, consult your estate planning attorney to see if you need to establish new estate documents or update your existing documents. The holidays present opportunities for family members to spend quality time together and create lasting memories. Show your gratitude this season by making sure your loved ones are properly protected financially and by having open, honest conversations with your family members before issues arise. Being proactive for the benefit of those you love is the best gift you can give this season. Megan Rindskopf is a Financial Advisor for Clearview Wealth Management in Charlotte, NC. As a NAPFA-Registered Financial Advisor and CERTIFIED FINANCIAL PLANNER™ professional, Megan helps individuals and families reach their goals through a holistic and customized approach to financial planning. Much of her time is spent helping young, high earning professionals prioritize competing demands so that they may successfully achieve financial clarity and independence, along with a healthy work-life balance for the long term. Clearview Wealth Management is an independent, fee-only Registered Investment Advisor firm that cares deeply about each relationship and is committed to lifelong partnerships with clients and their successive generations. Megan can be reached at mrindskopf@cvwmgmt.com, or connect with her on LinkedIn. If you would like to learn more about Clearview Wealth Management and the people they work with, check out their website at www.clearviewwealthmgmt.com. Thanks to Megan and her firm for these excellent thoughts and tips for addressing these difficult issues. As always please feel free to contact me at 847-506-9827 for a complimentary 30-minute consultation to discuss all of your investing and financial planning questions. Check out our Financial Planning and Investment Advice for Individuals page to learn more about our services.